It's an intimidatingly long book (at 592 pages, you could probably use it to murder someone), but well worth the investment. My first introduction to Bray, The Diviners impressed me with its depth of characterization, intricate plotting, and unique mythology. I usually don't do the whole Americana thing, but there's something darkly magical about Bray's world. She gives us New York in the 1920s, in all its gritty gin-soaked glory, and one bombshell looking to make a name for herself. Evie's story quickly becomes intertwined with a series of murders and supernatural happenings whose origins stretch back to the foundations of the country. It's full of jaunty (if not sometimes irritating) slang and switches pretty seamlessly between character points of view, giving the story an epic scope that couldn't be accomplished by Evie alone. The mystery elements, with murder scenes and a complex creepy cult, yanked me in and kept me racing ahead to the end. I'm going to admit something: books about America kind of bore me. Not always. There's a bit of hyperbole abuse going on there. Just, I was never into prairie stories, the wild west, or the Revolution. Classic America-y stuff. But I make exceptions for a few decades, and the 20s is one of them. Maybe it's the side effect of growing up in Chicago where everyone's some-relative-or-other knew Capone (family lore says my great uncle drove for him, which is probably true because we're Italian and obviously all Chicago Italians knew each other), but the era of gangsters, prohibition, and flappers has always fascinated me. Bray brings the decade alive with an astounding narrative authenticity. Her slang is spot on (if not perhaps a little overused; I mean, I might murder the word "jake" if I see it one more time) and her world feels real down to the patent mary-janes and numbers runners. It's the perfect backdrop for a murder mystery. If you're a fan of Public Enemies or Gangs of New York, you already know why. The 20s were an era of experimentation and prohibition, of wanton youth and the worried status quo, of post-war prosperity and despair. Industrialization dusted everything in smoke and coal so it even had that gritty film noir thing going on. Crime was rampant. Into this world, Bray weaves a shocking set of serial killings. And by shocking I mean super freaking awesome if you're into that kind of thing (hem). The victims are varied, seemingly without connection. They're trussed up as quasi-biblical monsters, Harlots of Babylon and pearl-eyed widows, and surrounded by arcane symbols. Evie comes to New York because her parents shipped her off to keep her away from gin and trouble (har har), but she and her uncle are quickly mired in the bloody case. and the veneer of the supernatural. And then the fun starts. Because this isn't a normal serial killing spree. Each scene seems connected to the bastardized Christian tenets of an apocalyptic death cult, with the nefarious purpose of bringing about the Antichrist. Cause why not. And Evie is no normal girl, but a seer who can read a person's memories by touching something personal to them. Her uncle Will owns the so-called Museum of Creepy Crawlies, home to the strange and the occult. This is a world where legend meets fact, where there are spirits and ghosts, where old prophecies link together a group of people with special powers--all of whom are in danger. Oh, and the killer might be a dead man's ghost who goes around singing creeper-town children's nursery rhymes. It's like this book was freaking written for me. On one hand, that's your main thread. You have Evie, her uncle, her uncle's assistant Jericho, and the silvertongued pickpocket Sam all working together to solve the string of homicides. But because we're given the perspectives of multiple characters, the novel is as much about the experience of the decade as it is about the mystery. Jericho the orphan and Sam the Russian immigrant both have their own secret lives. There's Mabel, Evie's best friend, whose parents are anarchists, and Theta, a dance show star with a dark past. There's Memphis, numbers running and aspiring Harlem poet, who used to be able to heal with a touch. Bray builds an entire world on their intertwined stories, and sets up a sensational supernatural mystery that carries through the series. The only annoying part was getting really into someone's plot thread, only to have the POV switch and keep you hanging. Plus there's some love triangle (square?) nonsense that made me get rage claws. gives the novel an epic, cinematic glitz. What results from all this, the multiple plots and characters, is a true undertaking of a novel. 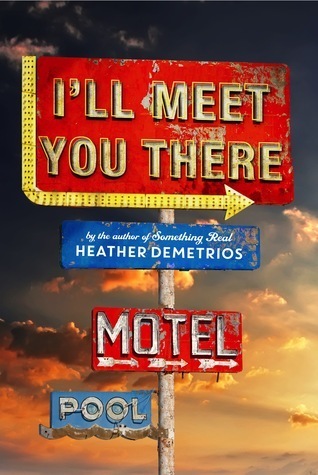 While Evie's story, the murders and the cult, is the backbone that ties everyone together, there are a number of subplots and diversions that enlarge Bray's world into a microcosm of its own. It becomes not only about ghosts and murder, but about women's rights, the plight of the workers, race relations, and 1920s Americans finding themselves. And Bray's tight, pretty writing creates stunning visuals; seriously, they should make this into a movie, or maybe a TV show. The last page left me with burning questions, a strange nostalgia, and a fervor for the second book--which I opened immediately after. 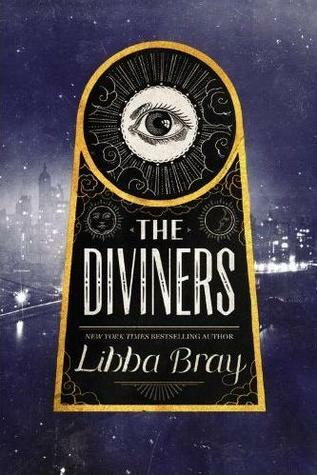 The Diviners is a sprawling supernatural epic alive with murder, mystery, and the glamour of the 1920s. It leans on in-depth characterization and branching plotlines to create one dazzling tale. will i read this author again? Yes! I recently realized that she was the one who did the Gemma Doyle series, which I now must read. will i continue the series? Waiting for the third book might kill me. PLEASE tell me it's not gonna be another three years! Oh I'm about to read this and I seriously cannot wait. I don't know what has taken me so long. I adore Libba Bray, as a person and as a writer. Plus this book is right up my alley. P.S. How do you not like American-y historical fiction? I really want to attempt to change your mind on this. Starting with The Golem and the Jinni. The sound very similar and I think you would real like it. But that's beside the point. I was the same way. I had it for like two years and was like, I should read this actually. To think, I deprived myself all that time! P.S. I dunno, that's probably a strong statement. I just don't like prairie stories and all that stuff. I think I got burnt out on them in English class. But I've wanted to read The Golem and the Jinni for AGES. Any other recs? I'm willing to try this out. So I am that person who was still not read this. I was intrigued by it once, many moons ago but I just never got around to it because a lot of the time I'm not into historical stuff? I don't know. My tastes are probably too mainstream. The characters are their histories/lives all sound super interesting, though! Plus I mean you used the words "cinematic glitz" which basically wants to make me dive right in. I was that person until, oh, about 5 seconds ago. You should try it out! I'm super into historical stuff so I'm biased, BUT it's also got the fantasy awesomeness to hold up the slack if the historical still isn't your jam. Plus all the glitz. GLITZ. SO. UM. I HAVE A CONFESSION. I won this and have had it on my bookshelf for absolutely forever. and STILL haven't touched it. *sentences self to corner of shame* The size is kind of scaring me. But I adore supernatural things and murder mysteries, so I really need to push past my fear of the hugeness and just EAT IT. Because, muuuurder. So much fun. It's one of those books that doesn't feel nearly as long as it is. It's more like getting twice the story for the price of one!